The Rickshaw Run is most definitely one of the world’s most beloved events throughout the circuit of car aficionados and motor sport lovers. If you are not familiar with the Rickshaw Run, this exciting event is actually a race that takes driving teams on a true adventure across various routes through the stunning country of India. 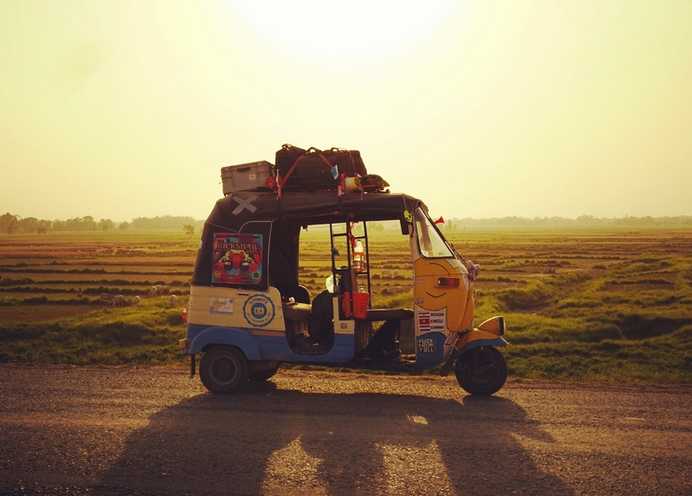 Created by “The Adventurists”, a group who is also known for their exciting Mongol Rally events, the Rickshaw Race put India on the map within the automotive sports scene, revealing great routes and beautiful driving scenarios. The Rickshaw Run is remarkable for its socially conscious overtones: each driving team involved in the race has a challenge: raising at least a thousand dollars to be donated to charity organizations working in India and Nepal with the porpoise of empowering locals and helping people create a better community, one step at a time.